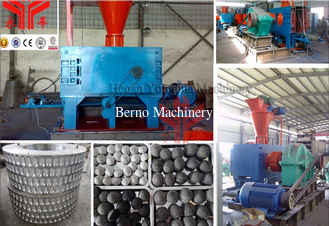 Briquetting line is the transformation of a powder or granular product formed into composition with more valued pressure. This is for recycling mine waste and coal waste in production, which accomplished by compacting the product with a roller press sometimes in the presence of a binder material. 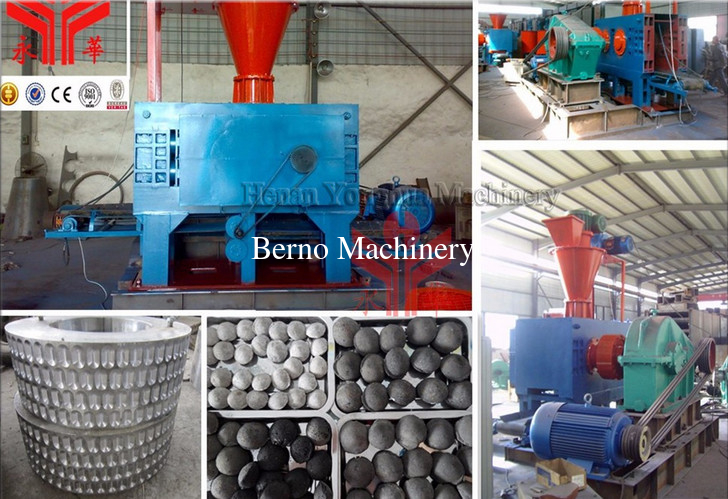 The briquettes can be produced with high or low pressure and can undergo mechanical or thermal treatment according to the characteristics of the processed material, the binder used and the desired final product. 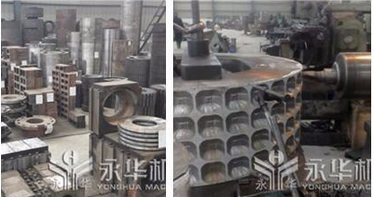 This series of coal briquette press machines can be used to make coal briquettes of different shapes. The raw material comes from small size waste charcoal broken in storage or while transportation, or comes from charcoal chunk after biomass burned. With this machine, the waste charcoal chunk can be made into charcoal briquettes or charcoal stick and recycled for barbecue, room heating etc. This type of briquette press have two larger rollers in a fixed position in the frame, the other two smaller rollers are moveable. As its named implied, it has four rollers and press briquettes for twice times, so it make briquettes stronger and in higher density. This machine is national patent product in China. The output briquette is in high quality and strong (not easy broken) that won't be broken when dropped from 150-250cm height. Meanwhile, it is easy for combustion, no smell and last longer when burning. 1. 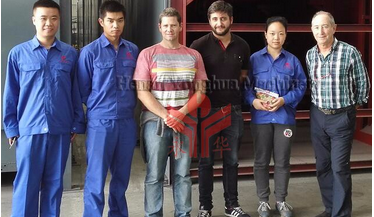 Application material: charcoal, coal, iron, copper, coke, refractory material, manganese, gypsum, silicon carbide,etc. Our have square, round, oval and elliptical shape with various size of roller for customer choose, and they are 65Mn, 9Cr2Mo and High-chromium alloy material, etc. and casting and forging process. 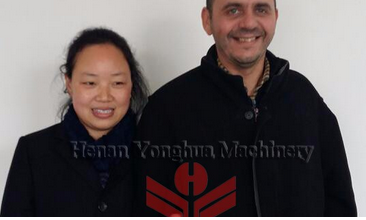 Customer visiting roller press briquetting machine on our workshop with his own material limestone, he is very satisfied with final briquette, and discussed a complete production line finally. Q: Do you have mini model for trial order ?